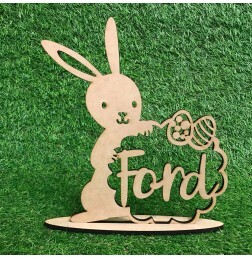 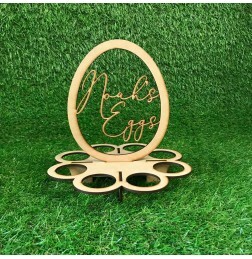 HAPPY EASTER FLORAL FRAME Starting from 30cm in diameter up to 90cm in either 3mm or 6mm MDF. 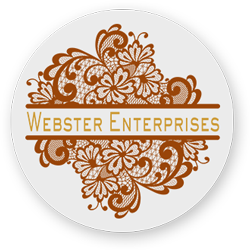 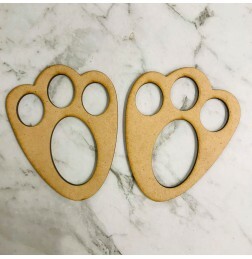 &nb..
EASTER BUNNY FOOTPRINT STENCILS Set of 2 Easter Bunny Footprint Stencils. 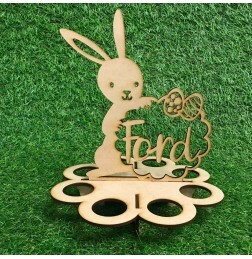 Made fr..
CUSTOMISED EASTER BUNNY STANDStands 30cm tall and made from 6mm raw mdf. 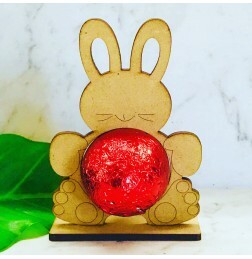 Comes with base to en..
CUSTOMISED EASTER BUNNY EGG HOLDER Holds 8 eggs and comes in 5 pieces that slot togethe.. 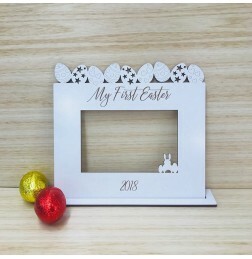 CUTE SINGLE EASTER BUNNY EGG HOLDER Holds 1 egg and comes in 2 pieces that slot togethe..
CUSTOMISED EASTER BUNNY PLEASE STOP HERE PLAQUE Plaque measures 30cm tall and is cut from whitefa..
CUSTOMISED EASTER BUNNY PLEASE STOP HERE PLAQUE (PINK EARS) Plaque measures 30cm tall and is cut ..
CUSTOMISED EASTER EGG HOLDER Holds 8 eggs and comes in 3 pieces that slot together. 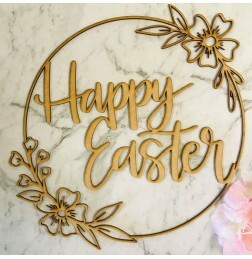 Me.. 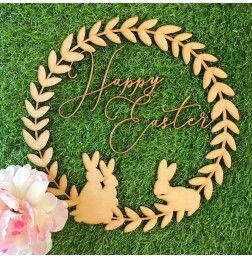 HAPPY EASTER WREATH 300mm wide in 3mm MDF. 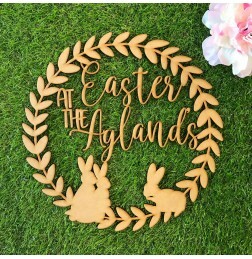 ..
CUSTOMISED EASTER AT THE WREATH 300mm wide in 3mm MDF. 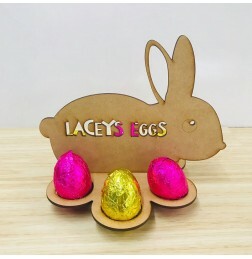 ..
CUSTOMISED EASTER EGG BASKET 22cm long by 7.5cm tall (box part) x 20cm wide. 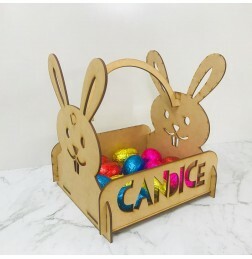 Rabbit en..
CUSTOMISED EASTER BUNNY EGG HOLDER Holds 6 eggs and comes in 3 pieces that slot togethe..